Sinn Fein has warned the British government will attempt to "force through a disastrous Brexit deal" for Ireland. 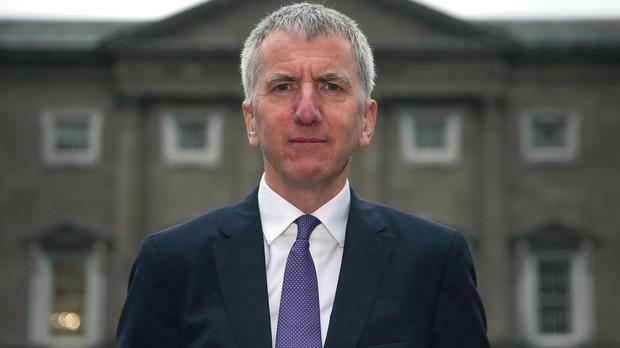 Mairtin O Muilleoir has called on the Irish government and the European Union to "stand firm" on what he called British attempts to undermine the rights of Irish citizens in the Brexit negotiations. The South Belfast MLA was speaking at a Sinn Fein party planning event in Co Cavan. Parliament resumed on Tuesday with debates surrounding Brexit expecting to dominate the next few months ahead of the leaving date of March next year. Sinn Fein vice president Michelle O'Neill is set to meet the EU's Chief Brexit negotiater Michel Barnier in Brussels this month alongside the SDLP, Alliance Party and Green Party leaders. She said that the group would be arguing that Northern Ireland cannot withstand exclusion from the single market or customs union. "The backstop is the bottom line," she said. Any backstop would allow Northern Ireland to remain as part of the customs union in the event of a no-deal Brexit. At the weekend Michel Barnier has said he is "strongly opposed" to key parts of Theresa May's proposals for a post-withdrawal trade deal. “The British Government are pushing this negotiation through to November and we have a long experience of these people in terms of negotiation,” Mr O Muilleoir said. “They will run this to the wire and they will try and bounce the EU and the Irish government into a deal which is in the interests of Britain and certainly not in the interests of the people who live on this island. “That will have a potentially disastrous impact on the people who live on this island." Mr O Muilleoir said it was time for the Irish government and European Union to speak up for Northern Ireland. “However, the Taoiseach gave reassuring statements to Irish citizens living in the northern side of the border who voted to remain within the EU. He gave us very strong assurances in relation to the Irish government stance in terms of our rights and we want to see him hold to those commitments," the South Belfast MLA said.